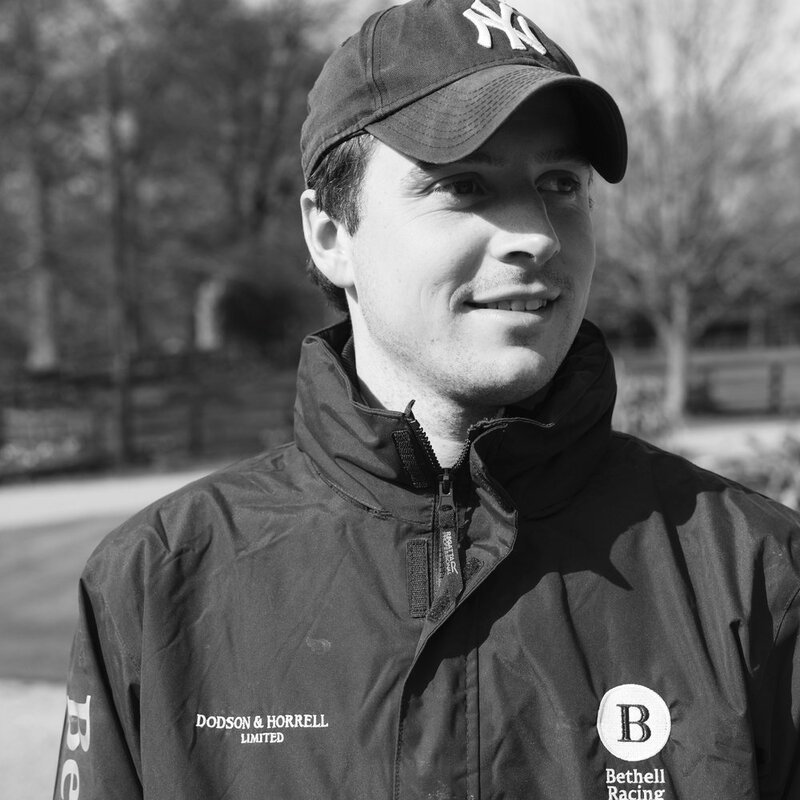 Millennials: as the younger generation of trainers comes of age, could they teach the old guard a thing or two about attracting and retaining new owners to the sport? As the racing industry collectively seeks to recruit a younger, more diverse demographic, and trainers are having to get increasingly creative in order to entice new owners into the sport, it is the trainers of the social media generation who are taking the reins. The best way to make a small fortune in racing, so goes the proverb, is to start with a large fortune. But how large? £22,595, to be exact. According to the Racehorse Owners Association, that was the average cost of owning a flat racehorse in the UK in 2017 (the last year for which figures are available); and that’s before entry fees, veterinary bills and insurance are factored into the equation. Based on a horse’s running an average of 7.4 times a year, that gives a ‘cost-per-run’ of £3,053—in other words, a snip at £20 per second. Translated into Millennial parlance, that’s a lot of pieces of avocado toast. In short, you don’t have to be royalty to participate in the sport of kings, but it helps. So where do trainers find a pool of people willing to submit their bank balance to this particular kind of reverse equine alchemy? The answer—as for where you turn when you want to find out what type of sandwich you are based on, your star sign or who would play your best friend in the movie of your life—is social media. Increasingly, trainers are turning to Facebook, Instagram and Twitter to advertise their wares to the wider world. These days, seemingly every trainer—Millennial or not—and his dog have a social media account (just ask the latest star of the Twittersphere, Jamie Osborne’s infamous whippet, Bad Bobby). “I think Facebook, Twitter and Instagram certainly help reach a larger audience”, says the decidedly non-Millennial Robert Cowell who, at 50, would doubtless be the first to admit that he is more au fait with winning posts than Facebook posts. “A lot of people that we have engaged with are very interested in the day-to-day life of what goes on in a racing yard. Short videos and little pictures every now and again—just giving them an update of what we do—is certainly no skin off our nose, and if it helps people to understand our industry, then I think it’s a very good thing”. But though the tools at today’s trainers’ disposal may be relatively new-fangled, it remains to be seen just how novel this approach is in reality. From social media to syndicates, trainers have always sought new avenues to bring racehorse ownership to a wider public and diversify their portfolio of owners. Now a common sight on racecourses throughout Europe and, indeed, the world, the first syndicates in the UK were set up by Kennet Valley Thoroughbreds and then Highclere Racing more than 20 years ago. Today, Highclere is one of the largest manager of syndicates in Europe, where syndicate ownership is increasingly popular even as sole ownership is declining. In the UK alone, 5,447 people participated in ownership via syndicates or other shared ownership schemes in 2018—an increase of 6.2% year-on-year. Compare that with a 1.4% drop in sole ownership over the same period. So what is it about the communal approach that appeals to owners? The most obvious answer is the price: for a fraction of the cost of owning a racehorse outright, a syndicate member can rub shoulders with the Queen and Sheikh Mohammed in owners’ enclosures from Ascot to York. Yet the calibre of some of the celebrity clientele (high-profile syndicate members have included Sir Alec Ferguson, Elizabeth Hurley and Carol Vorderman, who can surely be counted upon to have done the math) belies the theory that cost alone is behind syndicates’ popularity. Indeed, research shows that the satisfaction rating for syndicate members is 8.2 out of 10, compared to 7.5 out of 10 for sole owners, according to a 2016 survey undertaken by sports marketing agency Two Circles on behalf of the ROA and the BHA. Instead, the suggestion is that syndicate ownership appeals to civilians and celebrities alike because it confers a sense of being a part of something larger than oneself; of belonging to a community with whom to share in the highs and lows—in other words, that sounds rather a lot like a social network (Mark Zuckerberg, eat your heart out). So why not go all out for syndicates and the relative security they provide, rather than putting all one’s eggs in the gilded baskets of capricious individual owners? “I think syndicates are a great thing”, says Edward Bethell who, at 26, sits squarely in the ‘digital native’ demographic. “I think trainers should do more of it. But then syndicates are a full-time job in themselves because you need someone to manage them. People need to be updated regularly”. So where does Bethell think trainers, and particularly young trainers, should focus their efforts? “I’m a big believer in social media. I think it gets you out there. For a smaller trainer or for a young guy, you’ve got to create a niche in the market for yourself. I think social media can only be a good thing as long as you’re using it in a positive way”. Bethell, who has worked in Australia for Gai Waterhouse and sojourned for a stint in France, has overhauled his father’s social media profile and is making a name for himself as something of a social media maven.